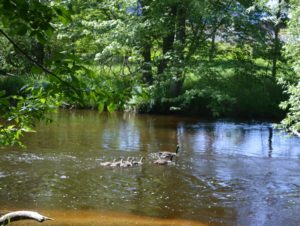 I was recently walking along the Flat River in Greenville, Michigan and I saw this wonderful little gaggle of Canadian geese on the shore. 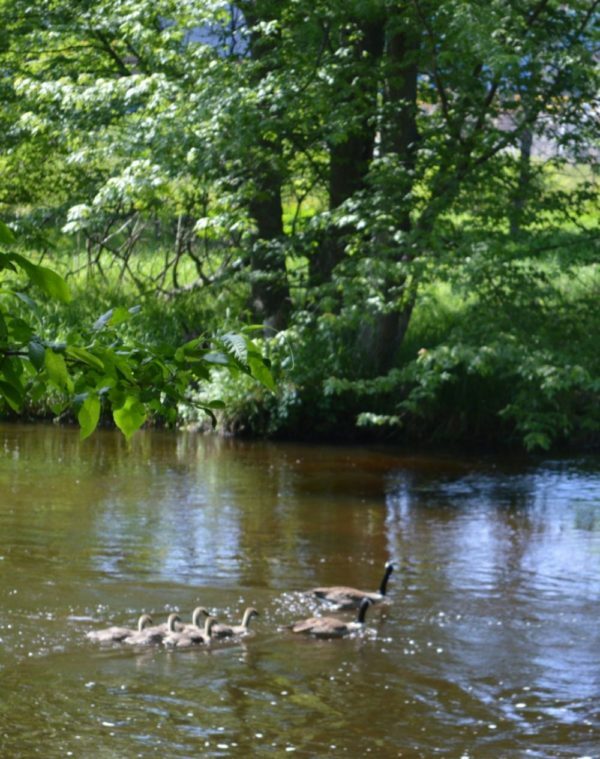 Mamma and Pappa decided to take their little goslings across the river, presumably for a tasty treat. In the water they go. It was hysterical to watch them trying to arrange themselves in a row, with one parent in the lead, one in the rear, and the little guys lined up in between. The parents did a magnificent job. The inexperienced little goslings came very close, but never quite made that perfect row of geese you see in pictures. What does “get your geese in a row” mean? As I was clicking away with my camera, I realized I had a wonderful analogy for the many small business owners I work with who are trying to “get their geese in a row.” For geese, it’s just the way they swim…they are trying to line up in a row behind one of their parents! For startups, it means planning. If you have not launched yet, it means creating a business plan and a step-by-step Action Plan to start your business and land paying customers. It often means having a support system in place as you create and roll out your plans, a trusted resource where you can ask questions and get guidance. Many small business owners work with experienced small business coaches to help them get their geese in a row. If you are a startup who has been in business less than three years and have under $100,000 in sales, it may still mean creating a business plan! It probably also includes creating a step-by-step Action Plan to land more paying customers. I work with many clients who “never quite got around to the business plan” and are overwhelmed with finding more clients while also managing their business. They need a plan. We are not talking about a 50-page, glossy-pie-chart type of plan. We are talking about a basic business plan that describes who you are, what you do, how you do it, and how you make (more) money at it. And the business plan means nothing without an Action Plan to execute it. You “get your geese in a row and keep them there” by creating and executing both plans. into the river to reach their goal – their tasty treat on the other side. As a small business owner, you need to take the plunge, too. If you are starting your business, you…must…actually…start…it to achieve your goals. You must get into the river! If you are growing, you also must also take the plunge and make time to work on your business, not just in it. Okay, they were cute as heck, but those little goslings had trouble getting “in a row” so Mamma and Pappa could shepherd them across the river. I had my camera and clicked away as they were paddled through the strong current, ending up side-by-side, in a group, and just about any other configuration you can imagine as Mamma and Pappa guided them. The goslings were clumsy and inexperienced. Most startup business owners are clumsy and inexperienced, too. It is to be expected (though most of my clients tell me it is uncomfortable as heck for them!). Yes, you may know your service or product down cold…but that is not the same thing as starting and managing your business and getting (more) clients. Mamma and Pappa were with the goslings for the entire trip across the river. Whether they were breaking the strong current for them, or communicating with honks and calls, they were supporting them the whole way. Do small business owners need support, too? Of course they do! Whether you form your own support group or hire a qualified small business coach/consultant, you will “get to the other side of the river” faster and make a better landing if you get support. The same is true for small business owners. Maybe they are just starting out and need a bit of launch advice. Or they’ve launched and are unsure of how to grow their fledgling, gosling-type business. Or maybe they know what to do and want an accountability coach as they practice a new skill. Sometimes they just need a safe and confidential place to brainstorm new ideas with a non-judgmental person or group, so they can “talk it out” and find their solution. Or maybe they need a business plan. For sustained success, startups must practice being a business owner and gain experience, enlisting support along the way. And they must be persistent as they work through their startup challenges to reach their goals. That “tasty treat” of success is achievable for both goslings and startup small business owners. Schedule Your Free Consult With a Small Business Startup Coach. If you would like to talk about “getting your geese in a row,” please set up a free consult. I would love to speak with you about starting or growing your business, and seeing how I can help. Robin Suomi, MBA, is an experienced small business expert and founder of Startup to Growth, LLC. Working with clients remotely through video meeting platforms, she helps clients answer their technical business planning questions. She also encourages them to dig deeper, dream bigger, and works with them to create their Success Steps! Check out the website for ongoing How to Start a Business and Business Plan Boot Camp workshops and seminars, as well as 1-1 small business coaching and group coaching, including QuickStart Mastermind and Growth Mastermind groups. Also check out Startup to Growth Video Library for additional small business training and professional development videos available to you online, anytime. A very affordable option. Black Friday to Cyber Monday Specials! 25% to 51% Off! $48 to $441! Customized Small Biz Coaching, 2019 Goals, to 5-Year Life Plan, Create It and Live It NOW! Special prices end Nov 26th, 2018, at 11:59 PM. Join our Small Business Video Library! Join Startup to Growth Video Library. Videos on social media, sales, target market, contracts, ebooks, and more! Don’t have time to improve your business? No problem. Your competitors do. They are winning YOUR clients! From $26 to $119. 25% to 51% Off! 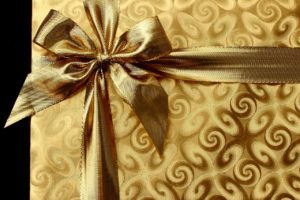 Black Friday through Cyber Monday Small Business Coaching Specials! Free Small Business Consultation: Are You Ready To Do Better?